Starting your business venture can be the most rewarding experience of your lifetime if you carve the way carefully. One of the most critical decision to be taken in the course of company registration Singapore is to select the business entity type. Out of many business entities, the private limited company has been proven to be the most popular and successful business model in Singapore. The entrepreneurs from all across the globe choose to venture out their business in the form of private limited company Singapore. A private limited company in Singapore is a form of Limited Liability Company (LLC) whose number of shareholders is limited up to 50. It is the most common type of business entity in Singapore. The name of the private limited company has a suffix of “Pte Ltd.” There must be at least one shareholder who can either be individual or corporate entity. The rules and regulations vis a vis private limited company is regulated by Singapore Companies Act, Cap 50. It must be registered with Accounting & Corporate Regulatory Authority (ACRA). What are the minimum requirements for setting up a private limited company in Singapore? Following are the few requirements which must be met in order to get the company registered with the authority. At least one local director who is an ordinarily resident in Singapore. He/ she can be a Singapore citizen, Permanent Resident (PR) or bearer of Employment Pass or Entrepreneur Pass (EntrePass). The number of the shareholders can range between 1 to 50. There is no mandatory requirement for the shareholder to be resident in Singapore. 100% foreign shareholding is allowed. A local registered office address must be there. The address has to be a physical one and not P.O. Box. The minimum paid up capital required is SGD1. The amount would be S$50,000 for EntrePass holder owned company. Appointment of a company secretary within six months from the date of company incorporation is mandatory. The company secretary must designate a natural person who resides in Singapore. Both steps could be done online. The use of electronic medium makes the process fast, convenient, straightforward and red tape-free. What are the Advantages of Private Limited Company Singapore? Limited Liability: The best part of private limited company Singapore is its limited liability for shareholders. This form of business entity is considered to be an independent legal entity. Thus, the entity is liable for any loss or debt incurred by the business, and the liability of the shareholders is limited to the amount they invested in buying the shares. Their personal assets remain protected. Legal Identity: A private limited company has its distinct legal identity, and thus it can enter into legal agreements. It can own property, can sue or be sued in its own name. A Singapore private limited company has perpetual succession, and it will continue to endure the structure even if its directors/shareholders resign, retire, die or go bankrupt. Ease of Expansion: It is evident that the capital plays a vital role when a company intends to expand their business. In a private limited company Singapore, one can raise the fund easily by adding equity partners, business financing, venture funds, etc. The credibility image of a private limited company is good and reputed one. Securing fund or loan from the bank is fairly easy for a Singapore-based private limited company. The potential shareholders or investors are also more likely invest money in a company. Taxation Advantages: A private limited company in Singapore is entitled to enjoy a series of tax benefits and incentives, it is taxed at corporate tax rates. Under the full tax exemption scheme, a newly incorporated company can enjoy zero tax benefits for first three years on its annual revenue of S$100,000 in each year. The effective corporate tax rate for all companies of profit up to SGD 300,000 is 8.5% and capped at 17% for companies with annual revenue above SGD 300,000. Above all, The jurisdiction follows a one-tier tax system where dividend earned by the shareholder are not taxable. Transfer of Ownership: Ownership of a private limited company Singapore can be transferred, either wholly or partially without having to disrupt the operations or need to undergo any legal documentation. Transfer of ownership can be done by selling off all or part of its total shares or issuing new shares to additional investors. 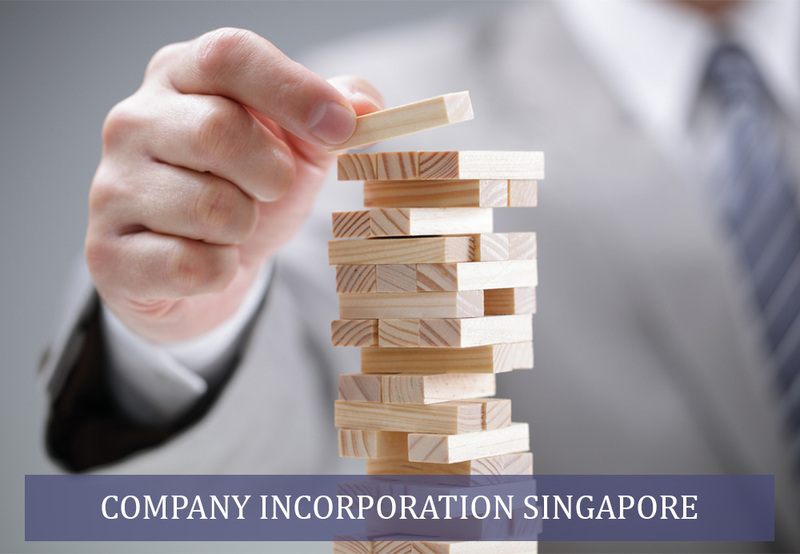 Most importantly, a private limited company Singapore holds a powerful perception which can alter the destiny of your business. It signifies credibility, seriousness and stature among the potential investors, customers, suppliers, employees and so on. It makes sense to register your business as a private limited company so as to reap the maximum benefits. Companyregistrationsingapore.com.sg, a firm in Singapore, deals in company incorporation services including private limited company, LLP and sole proprietorship. Apart from registration, it also specializes in allied services such as accounting & bookkeeping, company secretary, payroll, XBRL filing, GST registration, AGM filing, corporate taxation, Director’s Report and so on.